Many chewing gums are gluten free. 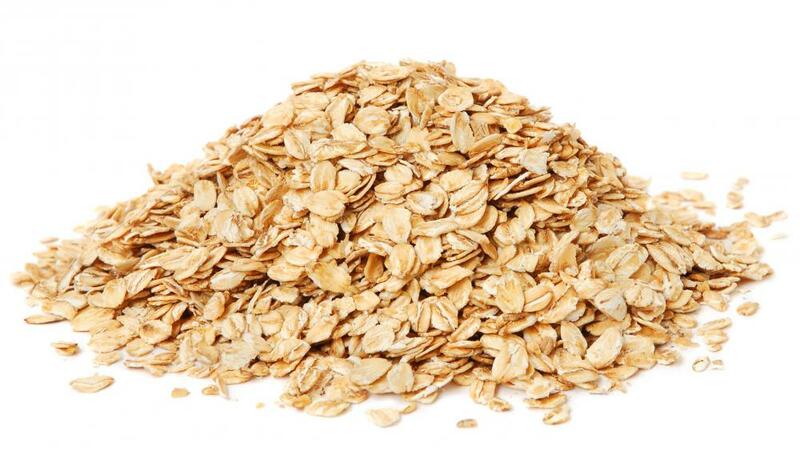 Gluten can be found in oats and other grains. Chewing gum is usually made of chicle or synthetic rubber. Many types of chewing gum contain gluten, a protein composite found naturally in wheat and other grains that is intolerable to those with celiac disease or other digestive sensitivities. Many popular chewing gums are already gluten-free. This type of gum contains no traces of gluten. Retailers that specialize in gluten-free foods often include gluten-free gum as part of their product lineup. Gluten is most commonly found in wheat and other grains, including rye, oats, and barley. Found in dough, fake meats, pastries, and many other foods, gluten helps to thicken many foods or to give them chewy qualities. This chewiness is a primary reason for including gluten in some chewing gums. Gluten can also be found in foods that might not initially be thought to contain gluten, such as teriyaki sauce, beer, and ice cream. Many people with frequent digestive problems or pains are discovering they have underlying gluten allergies, enhancing the importance of finding products such as gluten-free gum. A gluten allergy can develop at any time in one’s life. It is not known exactly why gluten sensitivities occur, but it may be related to eating too much gluten or chemicals that are often added to gluten-containing products. Celiac disease is a very common genetic gluten intolerance. Gluten-free gum can be found on the shelves of most stores. Some brands of gum, such as Trident®, are naturally free of gluten. In general, gums that are packaged as pellets rather than sticks, qualify as gluten-free gum. 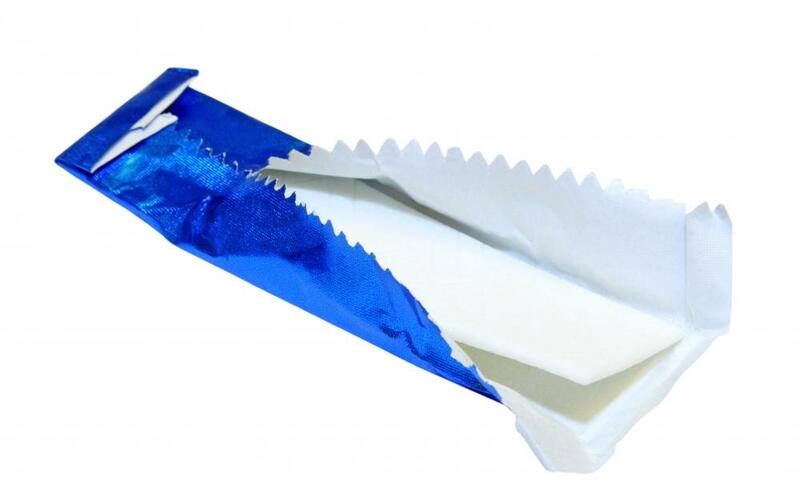 The powder used to keep stick gum from adhering to its wrapping often contains gluten. There are some stick gums, such as Doublemint®, that are also gluten-free. When searching for gluten-free gum, check the ingredients list on the packaging. If wheat, barley, rye, oats, or other grains are listed in the ingredients, the product is likely not free of gluten. Researching a favorite type online to determine if it is gluten-free is also a useful strategy. Some gum manufacturers list their gluten-free products on their websites. Some companies specialize in producing gluten-free foods, including gum. Some people with extreme gluten intolerance are sensitive to the glutens found in corn. Many of these individuals experience symptoms when eating corn, corn-based products, or foods containing corn syrup. Some gluten-free gums contain corn glutens, which can be found in corn syrup. A physician can best advise if products containing small amounts of corn gluten are safe for those with an extreme gluten intolerance. What Are the Different Types of Gluten-Free Appetizers? What are the Signs of Gluten Intolerance in Children? Why do Some People Avoid Eating Gluten? @croydon - Well, gluten sensitivities including celiac disease are supposed to be around 1% of the population, which doesn't seem like much, but it really can be. I think that it's a large enough group to justify quite a few product lines. I also have to say that gluten free cake is often very delicious, because they use almond powder instead of flour! It's very fattening, but every now and then you deserve a treat. @Mor - While celiac disease is real and very debilitating, and I'll admit that some people have real gluten sensitivities, I don't believe that there are as many people allergic to gluten as we might be shown. A gluten free diet is just all the rage right now and people are jumping on the bandwagon because they like having something to demonize. Granted, gluten has been bred to be springier and springier, but there is nothing in it that is inherently bad. I don't think the sensitivities are on the rise either. Having all this gluten free food available is wonderful for people who truly need it, and previously had a very small selection. But, I don't think this is much more than a fad, myself. I think it's been a very good thing, this whole gluten free bonanza that's been going on. Gluten is a strange substance that has been bred to be so far removed from its original form that it's hardly surprising that it is dangerous. I've often wondered if gluten sensitivities have been shown to be growing more and more prevalent, or if it's just that gluten itself getting worse and worse for people. At any rate, all the gluten free recipes and things like gluten free chewing gum being available will hopefully help to raise awareness of this problem.